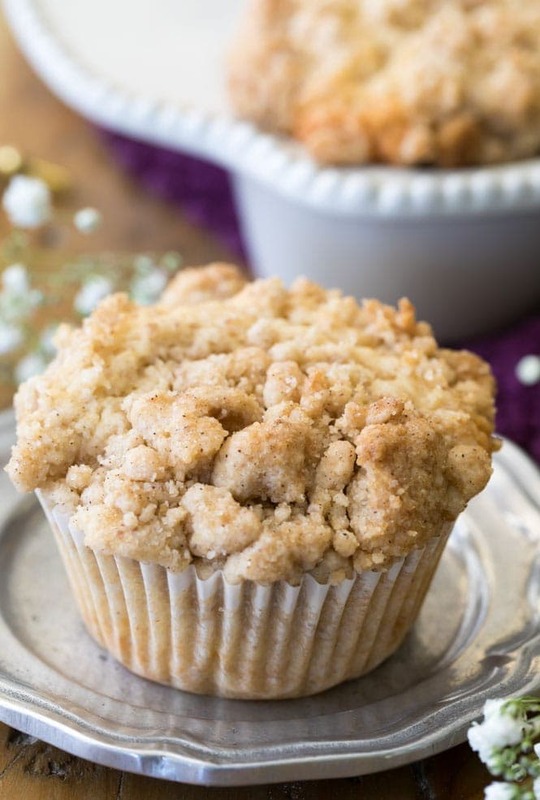 Fluffy coffee cake muffins topped off with a mountain of buttery, crumbly streusel! 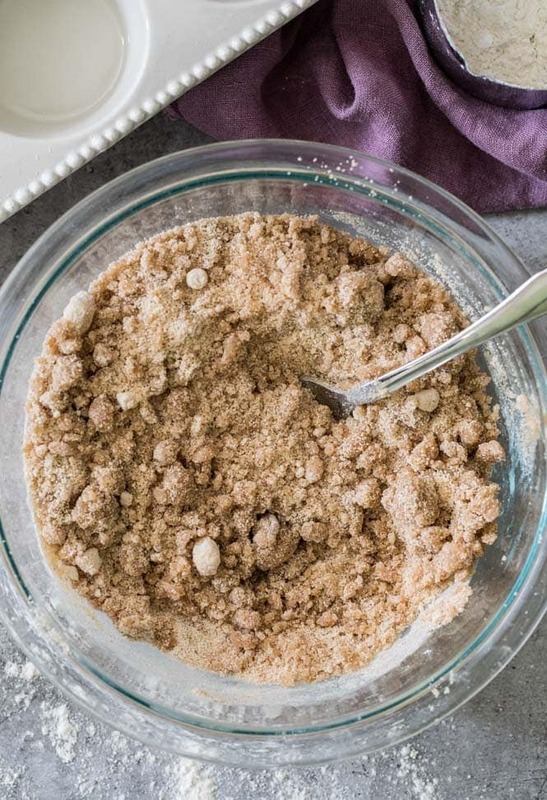 These breakfast treats are simple to make and the mile high pile of streusel is absolutely addictive, good luck eating just one! I should really probably just call these Coffee Cake Muffins “Streusel Muffins”, instead. Because that’s what we’re really here for, right? All that streusel. I mean, I don’t want to sell the actual muffins short, they’re definitely incredible. They’re light, fluffy, perfectly sweetened, flavored with a hint of cinnamon, and made with a combination of butter and oil (for the best flavor and texture — a technique that I use in my banana muffins as well), but it’s the streusel that has me reaching for a second and then a third and then just maybeee picking off the muffin top of a fourth. I might have a streusel obsession. How about you? If you do, you’re going to love these coffee cake muffins as much as I do. Before we can get to the streusel, though, let’s briefly go over how to make the muffins bases. 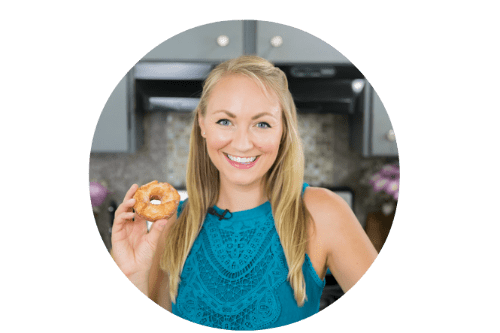 If you take a look back at some of my most popular muffin recipes (for example, my chocolate chip muffins or blueberry muffins), you’ll probably notice that the base for each of these is extremely similar. After lots of muffin fails, I determined a few key winning tips that make for some of the best muffins possible. First, we start with a combination of butter and oil. Oil makes muffins nice and soft and fluffy, while butter has a great flavor that oil is lacking, but tends to make muffins a bit too dense. 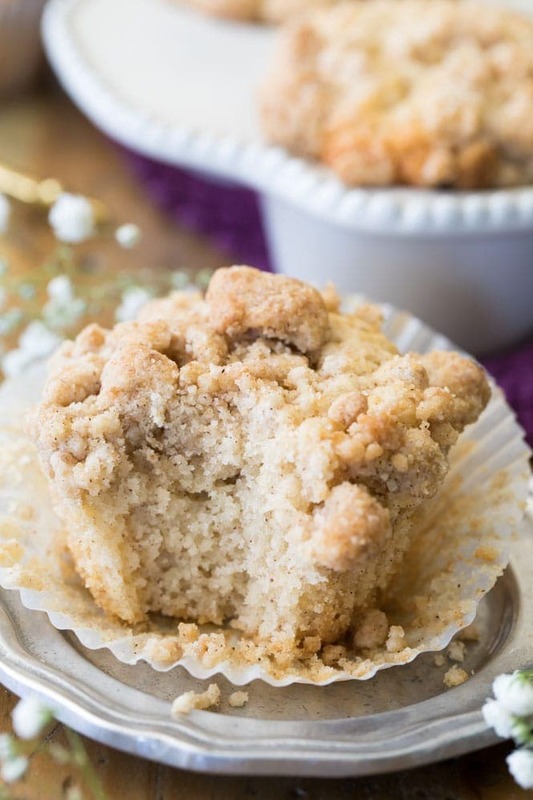 By using half of each instead of committing to just one 100%, we get soft and fluffy coffee cake muffins that also have a great, buttery flavor. You may also notice that I add cornstarch to the dry ingredients. 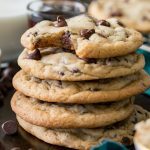 In my experience, this also helps to make the muffins nice and soft (a technique I also use in my secret ingredient chocolate chip cookies!). Alright, now let’s talk about how we make all that streusel. While many streusel recipes start with cold butter, today’s begins with melted butter, which is a technique that I use with my cinnamon coffee cake. I also think it’s much easier to make streusel this way rather than by using a pastry cutter, so that’s another reason this technique is a win for me. Firsts, melt your butter. Cut it into pieces before popping it into the microwave so that it melts evenly and doesn’t explode all over your microwave. Speaking of which, I need to clean my microwave. Maybe cover the bowl with a piece of wax paper to prevent any potential messes. Let the butter cool for a bit while you stir together your flour, sugar, and cinnamon. While we want it to be melted, you also want to be sure the butter isn’t scorching hot before you add it to the dry ingredients. Use a fork to work the butter into the flour mixture until it resembles coarse crumbs (like in the photo above), don’t overwork it or you’ll end up with a paste rather than a crumble. 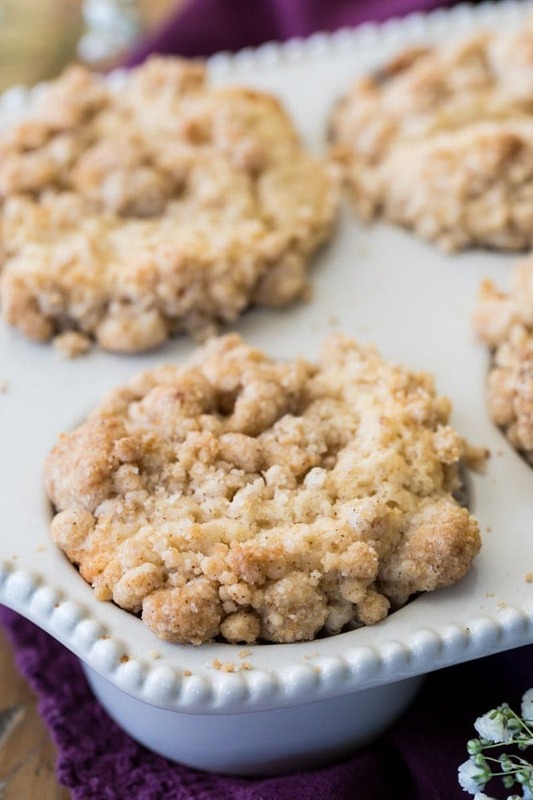 The best part of the streusel is those buttery, sugary clumps! 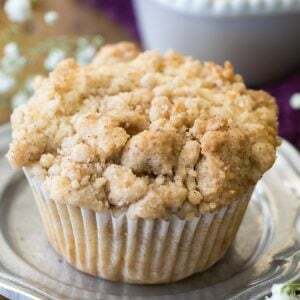 I use my hands to pile up the streusel evenly over the muffin batter, and gently press down to snuggle that streusel into the coffee cake muffin batter. 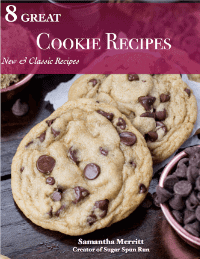 Bake everything on 375 and enjoy! PS: when I share coffee cake recipes I often get a lot of questions about where the coffee is in the recipe. 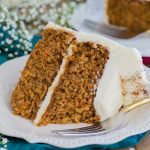 I’m not sure if coffee cake is more of an American thing, but coffee cake is typically just a treat that’s served as a nice complement to your coffee, not one that’s made with coffee. I hope that helps clear things up! Preheat oven to 375F (190C) and line a 12-count muffin tin with paper liners. Set aside. Combine your melted butter and canola oil in a large bowl. Stir well. Add egg, egg white, and vanilla extract. Stir very well, until all ingredients are thoroughly combined. Add buttermilk and stir. 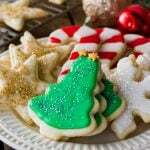 In a separate, medium-sized bowl, whisk together flour, baking powder, corn starch, cinnamon and salt. Using a spatula, gently fold the dry ingredients into the wet, taking care not to over-mix the batter (which will make your muffins dense and tougher). Evenly divide the batter into prepared muffin tin, filling each liner about 2/3 of the way full. Set aside and prepare your streusel topping. Bake on 375F for 22-25 minutes or until a toothpick inserted in the center comes out clean or with a few moist crumbs. These were EXCELLENT. 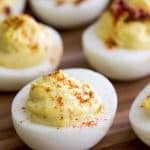 Thank you for another great recipe! While pretty, I wouldnt recommend making this muffin, dont waste your time, money or ingredients, as this muffin is very bland in taste, and you have to choke it down with alot of fluid as it is very hard toswallow. I followed thedirections EXACTLY as instructed and did not alter or add to it in anyway. . I am giving 2 stars, one for good visual appeal and the struessel topping saved the muffin from being a complete waste. 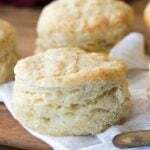 This was my first visit tothis website and fiirst time making your muffins. I wont be a return visitor. Hmm, between the butter, cinnamon, sugar, vanilla and buttermilk they should have had plenty of flavor. I’m wondering if perhaps too much flour was added? Did you weigh the ingredients or measure them out with cups? 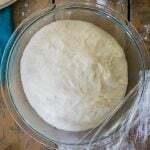 If you used cups, did you scoop the flour or lightly spoon and level it? Was the muffin dry? Could it have possibly been over-mixed? 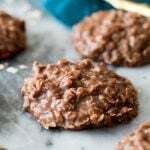 Is it possible that your oven temperature runs hotter than it reads and they might have been over-baked? I’m disappointed to hear they didn’t turn out for you, but I use this base for a lot of my muffins with great success so I’m happy to try and troubleshoot what might have gone wrong! My 3 and 6 year old just helped make these. Turned out perfect! Loved that we didn’t have to use a mixer. 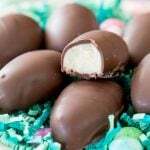 I think they are delicious. So glad to hear that everyone enjoyed them!! 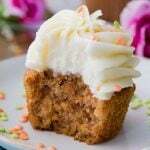 Samantha, the muffin ( cake) was 🌟 fantastic, but the topping wasn’t as sweet/ suggary as I like. 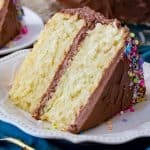 Thanks 🌺 for your recipes & website! ❤️it! Yum! Can’t wait to try these. Your chocolate chip muffins have become a regular in our house. I’ve also made your banana muffins and your blueberry muffins. Your muffin recipes are my favorite.